Kids: 3 (+?) 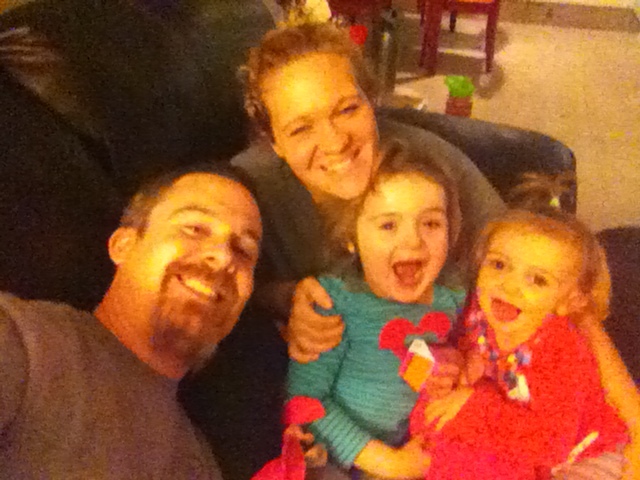 Kalee 4yrs old, Emilee 2yrs old, and Mackenzy who has already been called home to be with the ALMIGHTY! More to come, ehh maybe….women, especially mine, are really hard to say no to! Shape: Out of it. But don’t worry because Kristy is working on that! Religion: Follower of Jesus Christ! My wife is part of a pretty awesome community of Christian ladies called Proverbs 31 Ministries. Never heard of it? Really? Google it then is all I can say, but you may need to get out from the rock you have been under first. No really, it has been really inspiring to see Kristy and the these group (really really huge group) of ladies studying Gods word. So I started to ask Kristy, what can I do? I want to be a part of a men’s study…..well…..very hard to find. In fact nonexistent to the magnitude and level of commitment and passion from P31. So that is another reason I felt the need to do this blog. Not only do I hope that through God and GOD ALONE, we as a community of men will rise up, but I pray a time will come when we can read and study the Bible and Christian books by Christian authors. So there it is. I understand that God may not use this for anyone but me! I understand that I may say things here that make people mad or upset. I understand that I may make a multitude of mistakes, but thankfully I have the LORD ALMIGHTY on my side. I do believe however, that we are long over due to hear some of those things that make our stomachs hurt, make us mad, and test what we believe. “GOD IS NOT DEAD HE IS SURELY ALIVE”!